Today I am going to review patanjali gulab jal,I bought it due to it's cheap price . 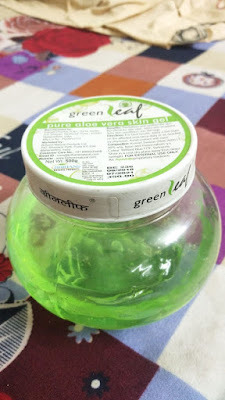 It comes in a transparent bottle,It has a pink colour cap,but there is inner lid ,You need to use a pin to make a hole in the inner lid or you need to transfer it into some spray bottle,It is not at all travel friendly.Risk of spillage of product is there.Fragrance comes of natural rose water,It's consistency is like normal water. 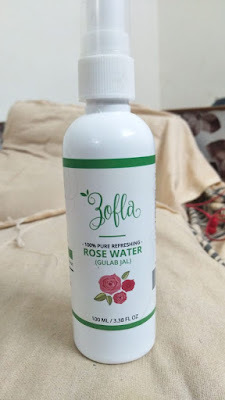 My experience with patanjal gulab jal is fine,The quality they are providing is awesome,You cannot expect tremendous results,i have used other rose waters too ,It looks pure but more in dilluted form,It din't gave me any breakout or burning sensation,Cleansing property is good as per its price,But i din't observed any miraculous improvement in skin ,But yes it works for dry skin to some extent . In few batches earlier they used to mention, That you can use few drops in your eyes,but in new bottles they do not nention it,So you can try if you want to use in your eyes. Use as face cleanser . Useful in adding to facepack. You can use it to hydrate your skin. You can use it in your eyes but new batches of bottle do not mention it,Old bottles used to mention that you can put in your eyes. Beneficial for patchy and dry skin. It is pure rose water but in more dilluted form.